Dietitians and nutritionists are both nutrition experts who have studied how diet and dietary supplements can affect your health. Both are considered to be healthcare professionals, but the titles should not be used interchangeably. Dietitians tend to have more education and credentials, but it's not always the case. A dietitian is an expert in dietetics, a branch of knowledge concerned with diet and its effects on health. A dietitian will commonly alter a client's nutrition based on a medical condition and/or individual goals. Furthermore, a dietitian must meet continuing professional education requirements each year to maintain board certification. Dietitians are recognized by the letters "RD" (registered dietitian) or "RDN" (registered dietitian nutritionist) after their names. Registered dietitians often work in food service or as part of a medical team in hospitals, clinics, and other healthcare facilities. Dietitians are sometimes employed by universities, where they can teach, research, or address public health issues related to diet and nutrition. The Academy of Nutrition and Dietetics also credentials registered dietetic technicians. Dietetic technicians typically have an associate's degree and work alongside registered dietitians. They are recognized by the letters "DTR" (dietitian technician, registered) after their name. In the United States, the title "nutritionist" can be applied to anyone who offers general nutritional advice. Nutritionists are not as regulated as dietitians, and even those who do not have any professional training can legally call themselves nutritionists. As opposed to dietitians, who are qualified to diagnose eating disorders and design diets to treat specific medical conditions, nutritionists deal with general nutritional aims and behaviors. Nutritionists are often employed in schools, hospitals, cafeterias, long-term care facilities, and athletic organizations. With that said, many nutrition/ists have advanced degrees and will pass nutritionist certification boards to obtain the protected title of certified nutrition specialist (CNS). This can be obtained through the Certification Board for Nutrition Specialists (CBNS). Applicants must have a master's degree in nutrition (or similar field) and at least 1,000 hours of practical experience before they are allowed to sit for the exam. This is especially true for sports nutritionists. Only those who have passed the CBNS boards and met the practical experience requirements can legally add the letters "CNS" (certified nutritional specialist) after their names. The Clinical Nutrition Certification Board is another organization that offers certification for the title of certified clinical nutritionist (CCN). Other nutritionists, such as health coaches and holistic nutritionists, don't require as extensive a training program. Health coaches may only require several weeks of training through the American Council on Exercise or other reputable organization. Holistic nutritionists who specialize in functional nutrition will need to complete a course approved by the National Association of Nutrition Professionals, followed by 500 hours of practical experience, before sitting for a certification exam administered by the Holistic Nutrition Credentialing Board. The requirements for licensure can vary by state. Some states only license registered dietitians, while others license nutritionists if they're certified by one of the above-listed boards. There are approximately 68,000 professionals employed as dietitians and nutritionists in the United States. Year on year, the industry is expected to grow by 15 percent as corporations, schools, and sports organize recognize the benefits of improving nutritional behavior. According to The U.S Bureau of Labor Statistics' 2017 Occupational Outlook Handbook, the median expected annual salary for dietitians and nutritionists is $59,410. If you want to work with a nutrition professional, the best thing to do is speak with your doctor about your needs and goals. You would then be referred you to a dietitian if your needs are medical (such as diabetes, kidney disease, or cancer) or a dietitian if your aim is to lose weight or improve your overall health. The services of licensed dietitians and nutritionists may be covered by your health insurance, including Medicaid and Medicare. When first meeting, don't hesitate to ask about the provider's education, credentials, and licensure. Academy of Nutrition and Dietetics. 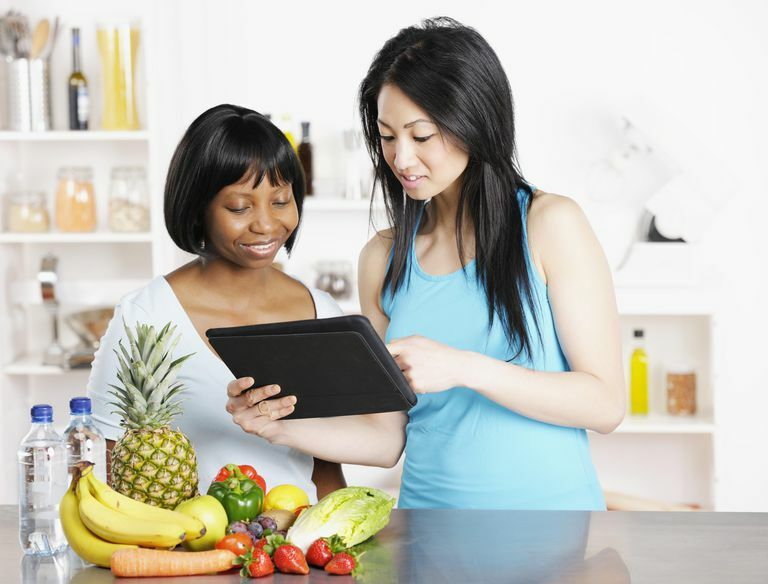 What are the qualifications of a registered dietitian? Chicago, Illinois; updated November 2017. Bureau of Labor Statistics. (2017) Dietitians and Nutritionists. Occupational Outlook Handbook. Washington, D.C.: U.S. Department of Labor. Should You See a Sports Medicine Specialist to Treat Your Injury? What Are All Of These Enriched Foods in My Diet?